This is a wonderful fairly new introduction of Pernstemon. 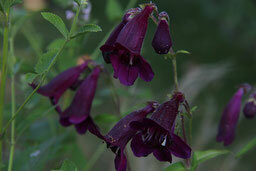 It has beautiful dark purple flowers from early summer into Autumn. To prolong the flowering season keep deadheading the plant and it will reward you with fabulous blooms all summer long. Do not be tempted to be too tidy with your Penstemon they should not be cut back until Spring when the new growth has begun and the fear of frost is over. They are frost hardy if you dont cut them back in autumn. This one grows to about 80cm. This is a very well written article. I will make sure to bookmark it and come back to read more of your useful info. Thanks for the post. I will definitely return.